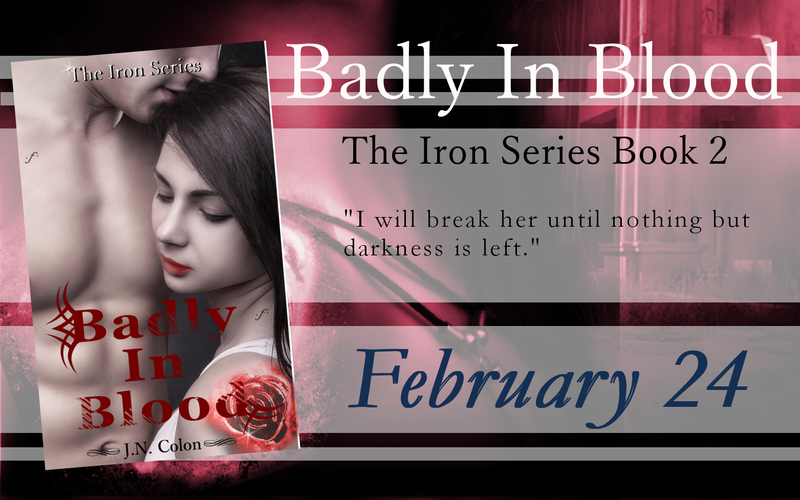 Read the 1st book in The Iron Series before the 2nd comes out. 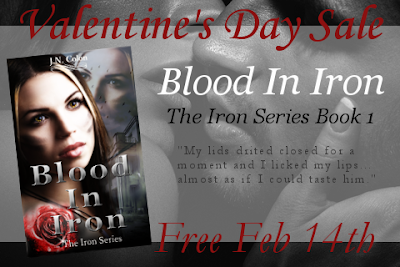 FREE Feb 14th! Hi guys. So... sorry for the late notice. 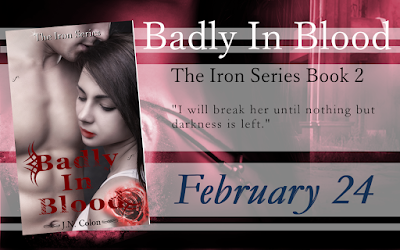 I wasn't sure when it would be ready, but--finally--Badly In Blood (The Iron Series Book 2) will be out February 24th. Pick up where Blood In Iron left off and watch Kory and Rex's relationship reach new levels of trust, turmoil, passion, and even betrayal.